I've had this lipstick for a while now and I did a hasty insta-review on it last year, but I think it deserves something more substantial. 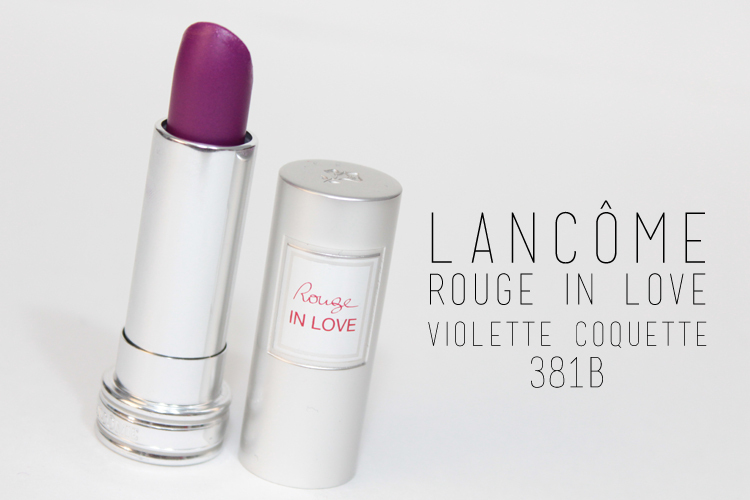 Violette Coquette 381B was the first lipstick I purchased from the Lancôme's Rouge in Love collection and it certainly wasn't my last. It's a bright purple with purple sparkle. It's definitely not a shade I'm typically drawn to, but when I tried it on, I was hooked. It's a beautiful colour. It's one of the few purple shades that I really enjoy wearing. 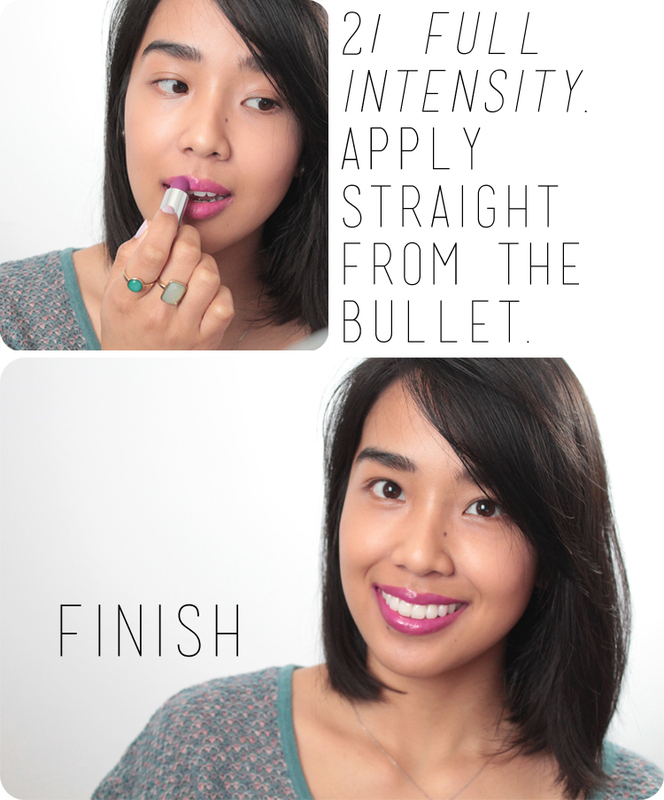 I really like the formulation of these lipsticks. The shades I have picked up, including this one, are lightweight, fairly moisturizing, and comfortable to wear. The lasting power ranges depending on the pigmentation. 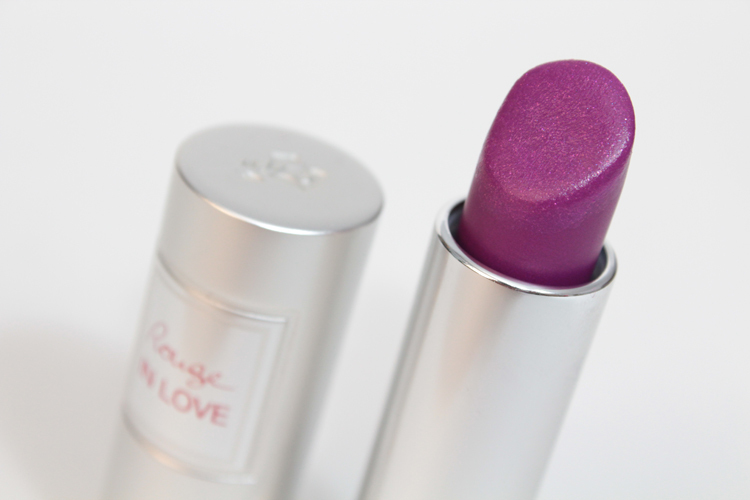 Violette Coquette lasts quite a while on my lips (around 5 hours) and also dries down to a pretty stain. Before it dries down, though, it has a beautiful glossy shine. What I also love about this lipstick is it's versatility. You can wear it as a stain for that hint of colour during the day or layer it for a dramatic bold lip for a night out. I must also give a nod to the packaging. 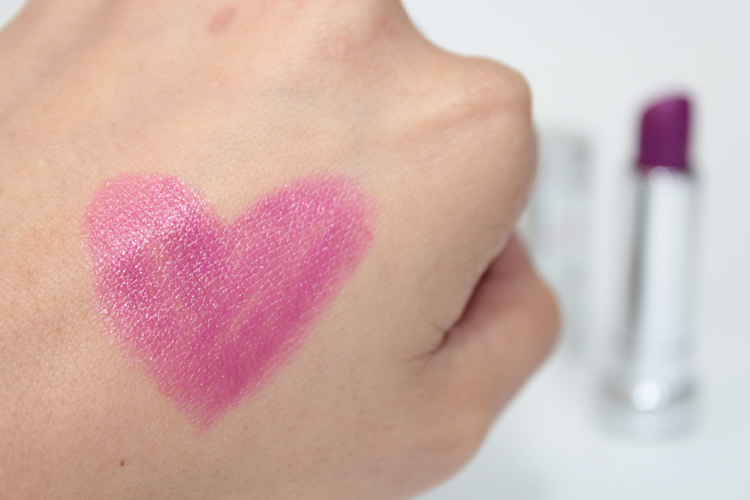 The tube is small (smaller than most lipsticks), but it's also heavy and sturdy in the hand. It combines a matte and glossy finish with decorative details, like the emblematic Lancôme rose. i've never tried purple lipstick before but it's an interested colour. a lot more wearable than i thought! Gorgeous! It makes such a nice stain for every day, and I love the brighter look on you for a night out! Such a gorgeous shade! And I love it can be used both ways. I also love what you're wearing on your nails? Is it by Julep? Okay, I'm buying this, you sold me. The color is so gorgeous and wearable! You`ve made such an odd looking colour look so versatile! and the packaging looks to-die-for! I have wanted to try them forever, but I just din't know which shade. I love this one!! Thanks!! I love the versatility of darker shades where you can adjust the pigmentation to your liking. Gorgeous purple and LOVE the packaging! What a gorgeous shade! I had a mini Lancome in Love lipstick in a red shade, but the bullet broke off :( It was a nice lipstick though and I'd love to try more. this lipstick looks amazing on you!!! i've been debating trying rouge in love for over a year. i may have to pick one up in may (non-beauty ban month haha). I really like the way it looks on you! It does look a little scary in the tube but you can pull it off well! that is a beautiful color. it really suits your skin tone.